A "burner" on the honda of a lasso or lariat style of rope protects the honda from wear, helps the honda hold its shape, and helps the rope slide through the honda. Burners can be made of a variety of materials including leather or rawhide. They can also be made of plastic. A plastic burner is commonly called a "speed burner" because the rope slides over the plastic faster than it does other types of burners. Below: A blue speed burner on a honda. 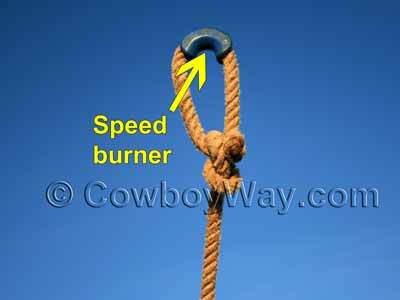 Speed burners are popular for roping on the ranch and for competition. They are made of shaped, molded plastic designed to fit the curve at the top of a honda, and are open along their top so they can be pushed onto the rope. A speed burner is used out of choice, or when someone doesn't know how to put on a different type of burner, like a rawhide one. 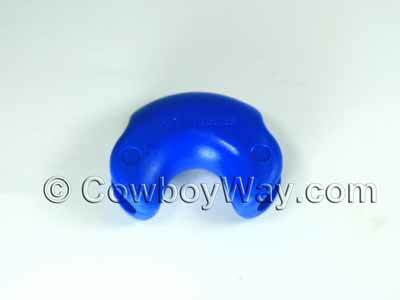 They are usually easy to find as they are commonly sold at tack, feed, and ranch supply stores. Speed burners are typically "one size fits all" but some are made for certain sizes of ropes. Below: A speed burner. Speed burners come in a variety of colors. In spite of their popularity speed burners can be tricky or downright difficult to pry open and slip onto a honda. In the space below we'll give you some tips for putting a speed burner on your honda. First of all, of course, you need a rope with a honda in it. If you have the rope but don't know how to tie a honda, you can see our article on how to do that here: How to tie a honda. Speed burners are made of hard, molded plastic. This makes them well suited for their job but it can make them really contrary to work with when trying to put one onto a honda. The first thing we do when putting a speed burner onto a honda is to warm the speed burner (specific instructions are below). A warm speed burner makes the hard plastic easier to work with. The next thing we do is find a tool with long handles. 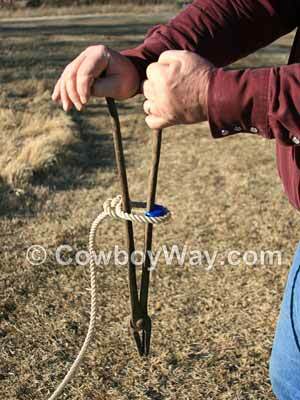 Something like fencing pliers, hoof nippers, or a pair of regular pliers with extra-long handles should work just fine (for this article, we used the blacksmith tongs you see in the photo below). After warming the speed burner the long handles work very well to apply leverage to the back of the burner and push it onto the honda (again, specific instructions are below). 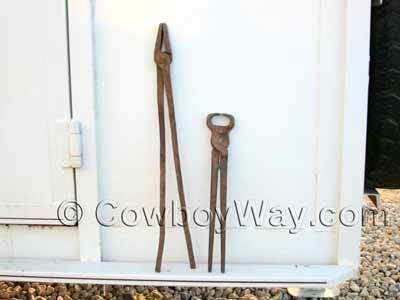 Below: Blacksmith tongs and hoof nippers. Put your speed burner inside of a microwave safe container then cover it with about an inch of water. Microwave on high until the water starts to boil. Wearing oven mitts, remove the dish from the microwave. 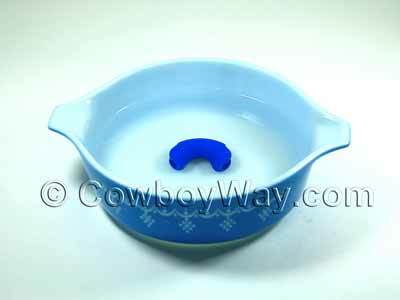 Below: A speed burner, covered with about an inch of water, in a microwave safe bowl. Use a pliers, cooking tongs, or something similar to reach into the hot water and remove the speed burner. Using caution because the speed burner may be very hot to the touch (wear gloves if necessary), place the burner inside the honda where you want it to be. Wearing eye protection (a speed burner can break and fly into pieces during this step), slide the handles of your long-handled tool through the honda (we're using the blacksmith tongs shown in a photo above). Gently open the handles so they apply force on the back side of the burner until it pops onto the honda. See the photo below. Below: Using the long handles on blacksmith tongs to pry a warm speed burner onto a honda. Depending on your luck, the temperature of your speed burner, and the size of your rope in comparison to the size of the opening in your burner, your speed burner might pop on almost instantly or you may have to keep prying. If you keep prying, be patient because the burner may slide around the rope or fly off through the air. If this happens, just put it back into place and try again. If you need more force, slide the honda closer to the end of the handles to increase your leverage. If you take a very long time and the temperatures are chilly, reheat the burner. With a little patience and some steady pressure on the back of your speed burner you should be able to pop it onto your honda. While this method has its aggravations (like applying uneven pressure and sending your speed burner flying through the air), prying a warm speed burner onto a rope with a long-handled tool is still the easiest method we've found for getting a speed burner onto a honda.